Tiësto is going to unlock his fifth full-length album and first for Casablanca Records and Republic Records, A Town Called Paradise, on June 16, 2014 in stores and through all digital retailers. It promises to be the electronic dance music event of the summer. The world-renowned dance legend already has unveiled two tracks from the set. The first single “Red Lights” hit #6 on the official UK Singles Chart, becoming his first-ever Top 10 track in the UK, and it accumulated over 12.6 million views on YouTube/VEVO. To date, it has sold 500,000 copies worldwide. Most recently, he dropped the album’s second intoxicating single “Wasted” featuring Matthew Koma, which he recently debuted during his headline set at Ultra Music Festival. Right out of the gate, it’s already a strong contender for “song of the summer” with its shimmering, unforgettable chorus and buoyant bounce perfect for days on the beach or by the pool and nights in the club. You can check out the infectious track’s video on VEVO now. Tiësto also invited some of dance music’s most notable names to collaborate with him on A Town Called Paradise. He joins forces with the likes of Hardwell, Sultan & Ned Shepard, Firebeatz, MOTi, Kaaze, and Dzeko & Torres on the production side. The vocal cameos also shine brightly. In addition to Koma, he tapped the talents of Icona Pop, Ladyhawke, Zac Barnett [American Authors] and Krewella. 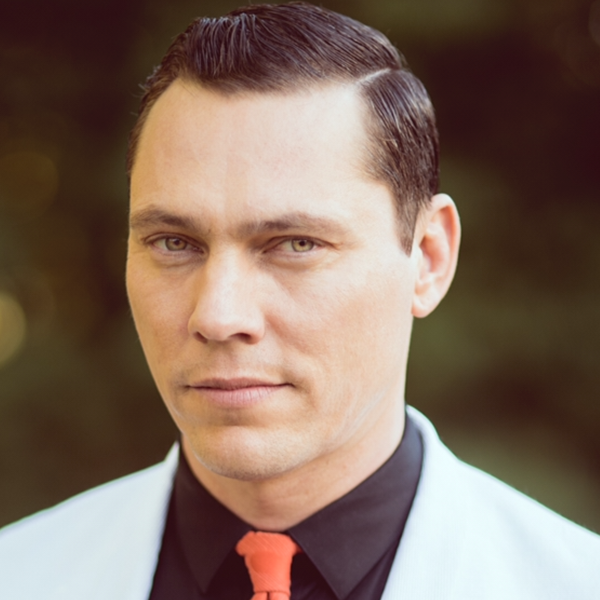 Tiësto is one of the most recognizable forces in the genre. He’s received the adoration of millions worldwide, garnered Grammy Award nominations, opened the 2004 Olympic Games, been named “The Greatest DJ of All Time” by Mixmag and the “#1” DJ by Rolling Stone, partnered with Guess and AKG for his own brands, headlined festivals worldwide including Ultra Music Festival, and Electric Daisy Carnival, launched the “Club Life” channel on Sirius XM, and hosted a storied 20-month residency at Hakkasan Las Vegas Restaurant and Nightclub and Wet Republic pool party at MGM Grand Hotel & Casino.